Last month, we added a pair of mid-season events, aimed at generating a spike in attendance deeper in the schedule: Dino-Sized Weekend and Mid-Season League. The former fires this weekend and the latter follows on November 6. 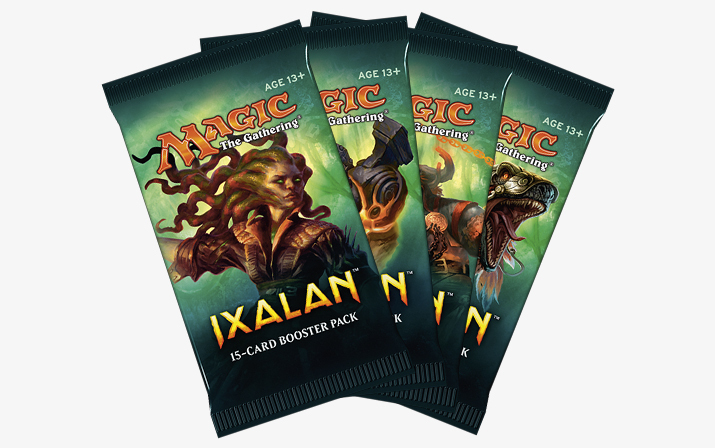 Dino-Sized Weekend is just like Draft Weekend, with two differences: you can run Sealed events, and you can run "dino-sized" drafts with four packs. From an organization standpoint, 4-pack draft works just like a regular draft, but the last pack rotates back to the right. From a gameplay standpoint, 4-pack draft is an interesting variant. It rewards risky picks, forgives bad ones, and lets players go deeper into their archetype. Plus, it reduces the likelihood of landing short on playables, which can make it a good format for players with less booster draft experience. A lot of stores are under the misunderstanding that drafts require eight players. Not so. Eight players is ideal, but drafting with fewer is better than turning away business. Do whatever it takes seat every last drafter. The one caveat is that "Ranked" events need at least eight players, so if you've got a Ranked event scheduled and you fall short of eight, simply cancel it and schedule a casual one. You'll also receive some beautiful posters to hand out during the weekend. This will be the first time this artwork is available to consumers. There are five smaller posters to hand out at Dino-Sized Weekend, plus a bigger one for your store. 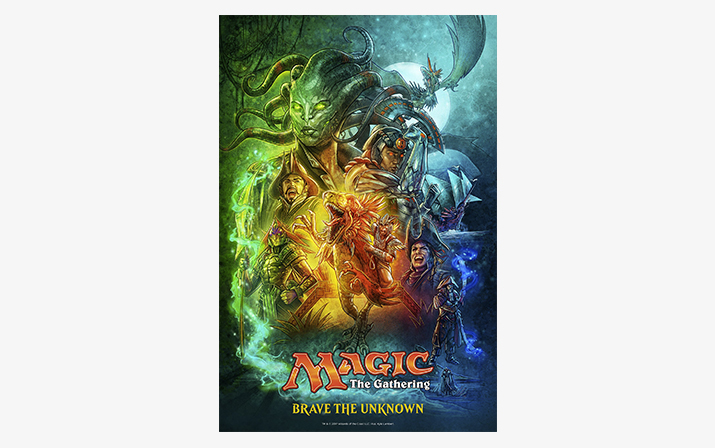 You can use the bigger one for a prize too, if you like, but first hang it up in the store as a conversation starter about both Magic and Dino-Sized Weekend. How to award the posters is completely up to you. Reward players that win a draft. Save one for the player that joins the most drafts. Give one out for bringing along a new face. Just make sure they get into the hands of your players and that your players know how they will be awarded in advance. Mid-Season League works just like what you're used to. Start players with three boosters and sell them another each week, plus another after three losses. They'll track their own records and battle any time you're open, including a weekly meetup (ideal but not required). Even the promo card is the same. The main difference is collection boxes: the ones you got for Launch league will have to pull double duty. For players joining league for the first time, think about tying a deck box purchase to their entry into Mid-Season league. They'll want something to keep their league deck in. Every Magic set has its tail, and the arc of that tail will determine the set's success. These two events were designed to keep Ixalan's tail as long as possible. Kick it off this Saturday at Dino-Sized Weekend and maintain the momentum throughout Ixalan season.